Getting pulled over by the police can be a scary experience. This is especially so where you’re not sure that you haven’t done something wrong. What you do or say in the situation can be quite telling though. It may have a big effect on what kind of legal proceedings may follow. The police have a general duty to protect you. They aren’t necessarily out to get you. As such, you should be calm and maintain your cool whenever you come into contact with them. Don’t panic or behave suspiciously, such as moving around in your seat, reaching for items, or throwing anything out of the vehicle. Such behavior only tends to make them have an interest in you and in most cases, it’s an interest you don’t want. If a police car is following you and flashing its emergency lights or blaring its siren, you should pull over to the side of the road. This should be done quickly and carefully. Pulling over immediately does not mean you have done anything wrong. It only means that you have respect for the law and are alert to what is happening around you. You should pull over in a wide spot on the road. It should be in such a way that the officer can easily walk up your side of the vehicle without having to fear being clipped by passing vehicles. After you stop, you should turn off your engine. You can also do some things that can help reduce any animosity that the officer can have against you. When you stop, roll down your window all the way before the officer gets to your car. You can also put your hands on the steering wheel and if it’s dark, turn on your interior light. These actions show the officer that you intend to be cooperative and may help smoothen the encounter. You should stay in your car unless the officer asks you to step out of the car. Don’t go rummaging around in your pockets or wallet for your license or registration. Wait until the officer asks you for them. Under Maryland law, the officer could direct that you and your passengers get out of the car. Don’t argue with the officer and do as they say. It is important that you do not badger the officer or badmouth him. You have the right to refuse a search of your car. Politely, but firmly indicate that you do NOT consent to any search if your vehicle if asked. It is generally polite to answer any questions asked by the officer. Typical questions include asking for your license and registration, your name and address. You have the right to remain silent though and you can invoke this right to avoid answering an incriminating question. If an officer asks you questions for which the answers may incriminate you, politely decline to answer. If the officer asks you to perform field sobriety tests, you have the right to refuse. again, do so politely but firmly. You also have the right to refuse a breathalyzer test, but this can have serious consequences for your driver’s license. 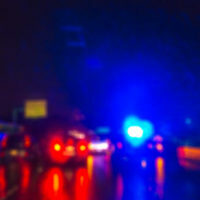 See our entry on DUI for more information. Do not attempt to litigate your ticket on the side of the road. Your time to tell your side of the story is in court. 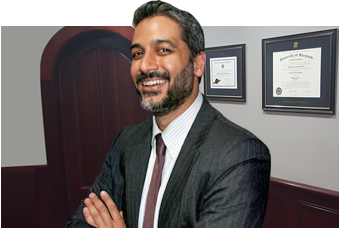 If you were pulled over by police and charged with a DUI, speeding, or other offense, contact the Law Office of Hammad S. Matin, P.A. today. Our law firm is well-qualified to handle an array of criminal defense cases.